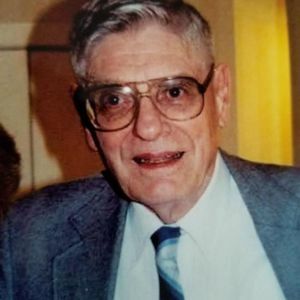 Henry Laessig IV of Westfield died Sunday, April 14, 2019 at his home in Westfield. Mr. Laessig and his family moved to Westfield in 1959, and lived there until the present. He was a graduate of Drexel University, Philadelphia, receiving a B.S. in Business Administration. He was a member of the Drexel Chapter of Alpha Pi Lambda. Henry served for two years as a Lieutenant in the US army, having been in the ROTC during his college years. He was stationed at Ft. Benning, GA, where his first son was born. For many years an active member of the Westfield Stamp Club, he served on the Board as Treasurer. He was also Treasurer of the North Jersey Federated Stamp Clubs, Inc. He earned two international and numerous Gold Awards for his philatelic exhibits. He retired in 1996 from his position with BEM environmental engineers, Chatham, where he was Secretary-Treasurer. He is survived by his loving wife Marie H. Laessig, and two sons, Henry and Andrew. No visitation. A graveside prayer service will be 11 am on Tuesday April 23, 2019 at Fairview Cemetery, 1100 East Broad Street in Westfield. Arrangements by Gray Funeral Home in Westfield. Donations in lieu of flowers may be made in his memory to St. Paul's Episcopal Church in Westfield.